There are a lot of things I thought a Fast and Furious film could achieve. Making an audience weep was not one of them. As if to prove me wrong, James Wan delivered Furious Seven, the most ridiculous and most heartfelt entry in the series to date. The Toretto Family returns to action when Deckard Shaw steps onto the scene with a bang, looking to exact revenge for his comatose little brother (the big bad of Furious 6). The globe trotting adventure that follows is equal parts thrilling and absurd. 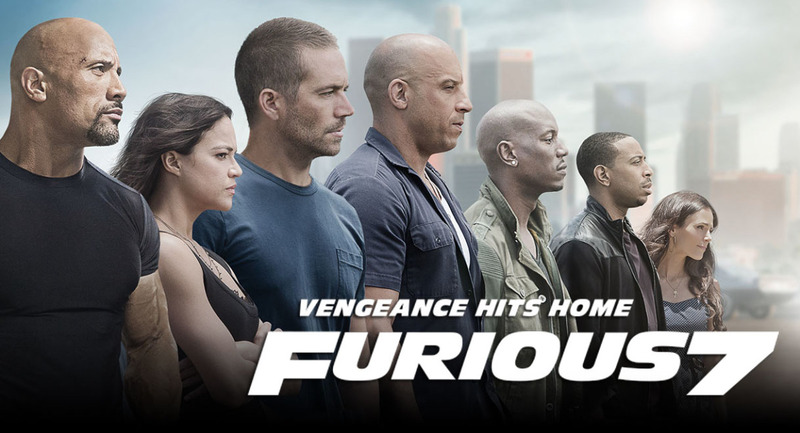 You can only watch so many cars break the laws of physics as they soar through the air or tumble down cliffs before you say, “You’ve gotta be kidding me.” Furious Seven stretches the limits of your suspended disbelief a few too many times, in too egregious a manner, to take claim as the best of the series. However, this is hardly a detriment to its quality. By tethering this vehicular absurdity to well-drawn characters with great familial chemistry, Furious Seven is able to get away with just about anything it wants to. Director James Wan proves himself a worthy successor to the accomplished Justin Lin (who shepherded the series to its current throne). While Wan lacks Lin’s visual clarity in the human-on-human action, he makes up for it with exceptional direction of the vehicular action. The centerpiece of the film is a convoy heist pulled off en route that opens with parachuting cars. It is a stunning work of action set piece filmmaking. It is clearly shot, edited, it tells a story within its own beats, and all the while organically escalating to ludicrous levels of tension and excitement. The question on everyone’s mind is, “How did they handle the tragic and sudden loss of Paul Walker?” The spoiler free answer is: kind of perfectly. Hence the aforementioned tears. The meta narrative of his loss and the conclusion of Brian O’Connor’s story is handled with a deft touch and warm heart. There’s not too much else to say. this is a gleefully silly movie held together by earnest characters and a self aware sense of humor. All you have to do is accept the notion that, yes, cars can (sorta) fly.